A resident of Hyderabad, B Vinay Babu, has appealed to Rajasthan Chief Minister Vasundhara Raje to help find his missing wife. 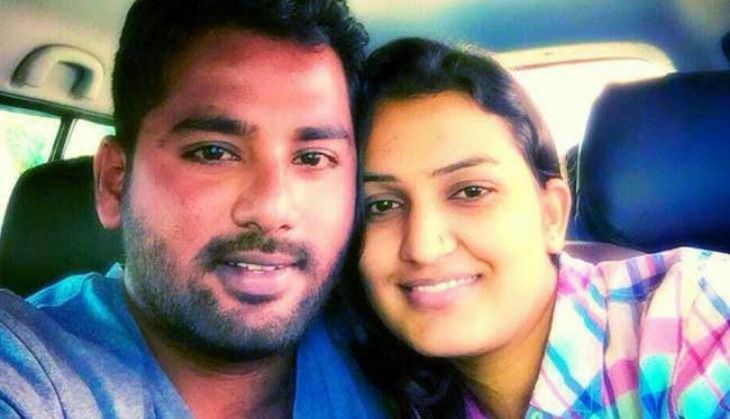 Vinay and Mamatha had gotten married against her family's wishes two months ago. Her family, who live in Jodhpur, had previously threatened to take her away. According to reports, Vinay, who works in a bank, said that he and his wife had lodged a complaint about the threats at a local police station. The police had then asked the entire family to come down to the station for counseling as they were unable to provide Mamatha with security. Vinay said that Mamatha had lodged a complaint declaring that she felt threatened by her family because she had married against their wishes. He also alleged that they had been stalked by strangers despite having moved into a new house. Mamatha disappeared last month when Vinay was away at work. The couple's neighbours have attested to her being taken away by force. Mamatha has not been found yet. A case of kidnapping has been registered and a team had been sent to Jodhpur to Mamatha's family - who have, in turn, filed another case accusing her of running away with 5kg of gold after her wedding.